I've said it before, I'll say it again, given the Human-Light (like the weight of a grain of sugar compared to a brick) nature of a Beast Wars Film, wouldn't it make sense for it to be a fully animated film, like the proposed Cybertron film? That's got to be cheaper and easier for them, and these days with animation they can get pretty close to reality anyway. 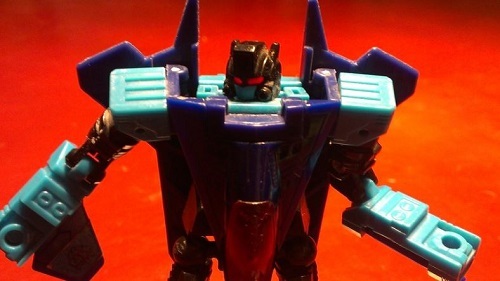 Agent 53 wrote: I've said it before, I'll say it again, given the Human-Light (like the weight of a grain of sugar compared to a brick) nature of a Beast Wars Film, wouldn't it make sense for it to be a fully animated film, like the proposed Cybertron film? That's got to be cheaper and easier for them, and these days with animation they can get pretty close to reality anyway. Yeah, thats the part I dont understand. Just make it animated. It's because Mr. Bay likes explosions, and living wild animals are expensive. I love Beast Wars but I don't think we really especially need a BW movie. Slightly dodgy 90s CGI aside the cartoon was fine as is. Actually this confirms my suspicions from the beginning, and BW is only being used as a scapegoat of sorts. There is a big difference between really good Animation produced for TV (i.e. TF Prime), and cinema quality animation (Pixar, or say the first 3 minuets of the BB Movie). Animation for the first 3 minuets of BB probably were way more expensive than say...any 3 minutes of human characters with no effects shots. The BB movie cost approximately 135M to produce, and has a run time of 114 minutes (I realize that includes credits) However, for the sake of argument, if you break that down evenly, that is roughly 1.18M per minute of screen time. If we then multiply that by 3 , you get 3.54M for that beginning 3 minute sequence. I'm just guessing, however, I wouldn't be surprised if the budget for that opening to be fully rendered was probably closer to 10M or more once it was all said and done. So the problem of an all *animated* TF movie is not exclusive to BW, it is in fact the reason why we haven't had one up until now. Filming Humans on studio sets is obviously simpler and less expensive (On location cost is debatable, depending on the location). Of course, if you all think like me, and are perfectly good with a great *TV Quality* animated film, being released theatrically, then I'm sure it wouldn't be an issue, unfortunately I don't think Paramount sees it that way. Last edited by o.supreme on Wed Mar 13, 2019 12:10 pm, edited 2 times in total. They should just hire Bob Forward and Larry DiTillio to write it and call it a day. 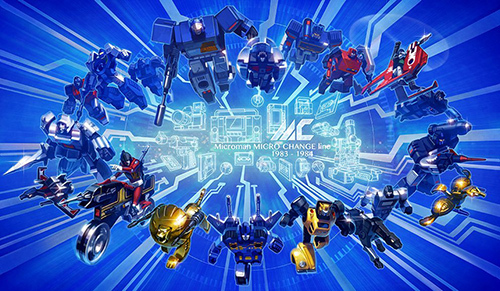 Have them create a follow up to Season 3 that can replace *shudder* Beast Machines. You talking traditional, cell shaded or CGI when you guys say animated? I mean I understand to a point saying too expensive. They probably want it to look real like jungle book or Lion King because they know that works but don’t wanna sink too much in on the chance the general audience won’t like animals turning into robots. Beast wars is great but past ten years it’s become a bit of an underdog and a gamble. I assumed by 'live action' they meant something like the new Lion King movie that's coming out. Animated, but... photorealistic? Great news Happy to hear that they will not be doing a live action film of it. Would prefer a remastered version of the series but that's not likely to happen. Caelus wrote: I assumed by 'live action' they meant something like the new Lion King movie that's coming out. Animated, but... photorealistic? Exactly. Another example of this is the Disney film Dinosaur which came out in 2000 (almost 20 years ago), but for the time, was the most expensive animated film ever made. 128M budget for an 82 minute film. Of course, DiBonaventura's comments could be coming from the fact that none of bay's films were less than 2 hours, but a ton of money could be saved, if the length was cut to 90 minutes. Even with inflation, I could see a budget of less than 200 million, if they kept the film to 90 minutes (BW or Original series based...), but again, I understand the risk of BW world wide recognition being a factor. william-james88 wrote: translate it for yourself and let us know what you derive from it. To borrow a phrase from our local sports talk radio station's afternoon hosts, my fanslation of it is this: Lorenzo di Bonaventura says a lot of words that may or may not actually mean anything when they're accurately transcribed in English, and these words make even less sense when Google translates them from a Japanese translation of part of a Chinese article. Also, he may or may not like Cheetor and Waspinator. If anyone wants to help me out, I'm working on a Beast Wars: Transformers movie pitch. It's going to reference 5 specific episodes of Season 1. Out of all the Transformers series, Beast Wars has the most potential to show the true challenges of surviving on a foreign planet. Not to mention the incredible odds the Maximals had to face during their first few days on prehistoric Earth. Basically this IP has been deemed too risky because it's old and there isn't much visible demand. But at a cost of around $50,000 per shot, and 2000 shots for an average action film, the movie could be made for $100 million. That could be recouped just in the film's opening weekend. Good. Beast Wars should stay dead. CrazyDraisey wrote: Basically this IP has been deemed too risky because it's old and there isn't much visible demand. But at a cost of around $50,000 per shot, and 2000 shots for an average action film, the movie could be made for $100 million. That could be recouped just in the film's opening weekend. You saying opening weekend will make 200 million? Haha, no don't have a stroke! I'm serious, if the characters are done right then opening weekend could be $200 million easily. Just look at how much demand the Takara Masterpiece Beast Wars figures have right now. I think a full on Beast Wars movie series could be done, so long as it's no more than 6 films. There is a definite beginning, middle and end like you guys said. And there's also some weird series decisions that were definitely toy refresh driven, like Dragon Megatron (makes no sense) and Transmetal 2. But overall, the strong characters and the potential for true exploration of guerrilla warfare tactics and CQC is hard to pass up. I'm working on a film treatment right now that pulls from 5 episodes of Season 1, the most important of which is Call of the Wild. CrazyDraisey wrote: I think a full on Beast Wars movie series could be done, so long as it's no more than 6 films. There is a definite beginning, middle and end like you guys said. And there's also some weird series decisions that were definitely toy refresh driven, like Dragon Megatron (makes no sense) and Transmetal 2. I liked transmetal 2 though, the designs were very unique and made sense looking at them via Megatrons experimentation. In terms of your budget figures, have you compared the budget to other animated films? Biggest comparison I can think of would be the How to train your dragon series (by virtue of action to characters)? I think the other factors outweigh any benefits you could point out, how well known is beast wars outside the fandom? What about other markets around the world? Using bw mp preorders as examples of interest isn't going to work as the number of pre-orders isn't as big as you need to support a movie. adamage1 wrote: Good. Beast Wars should stay dead. Transmetal 2 was the happy middle ground between the Season One "organics" and Season Two Transmetals. I liked all three design eras myself (alongside the Vehicons from Beast Machines) As said before though, Beast Wars told it's tale. 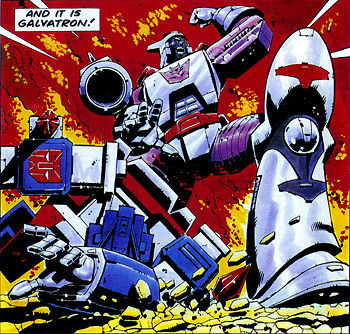 Anything else would be a bastardisation of what came before IE The FIRST award-winning series in Transformers history. Personally, I've never really revisited Season One very often, although a little more than Season Three. Season Two struck the balance in tone and story-telling that I enjoyed most. Although the diminishing returns from general audiences suggests even that has limits. When it comes to the success of these movies, it is general audiences that matter. Fans don't and Fanboys even less so. We aren't the group that generate revenue in the millions/billions, as we don't number that high. Your opinions are always welcome here. As far as the name calling, not welcome here. Take it easy. 4,494 pages were recently viewed by 793 unique visitors. This page was viewed 1 times on Sunday, April 21st 2019 3:08am CDT. © 2019 Seibertron, Inc. DBA Seibertron.com. All Rights Reserved. Established June 2000. Seibertron.com is owned by Ryan Yzquierdo.